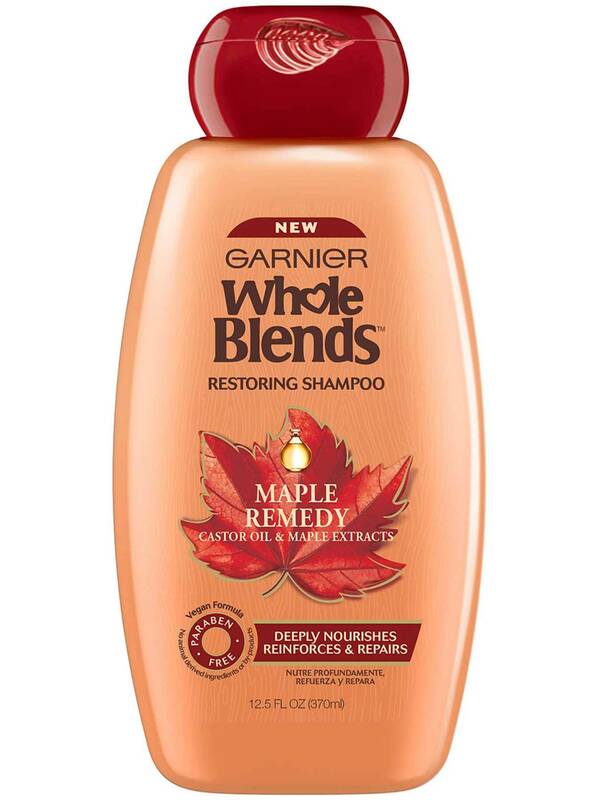 *When using the Garnier Whole Blends Restoring system of shampoo, conditioner, and leave-in conditioner. 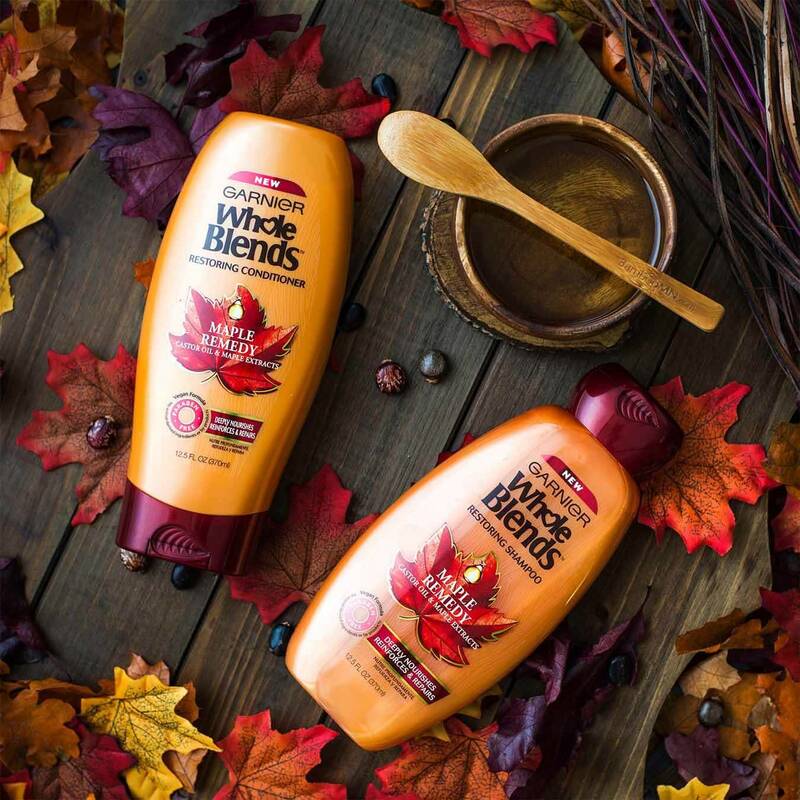 Our Garnier Whole Blends restoring formula blooms with the rich, gourmand fragrance of sweet maple and warm castor oil, bringing to life a sensorial in-shower experience that envelops hair in luxurious care & plush softness. Everything you need to nourish, reinforce, and repair. 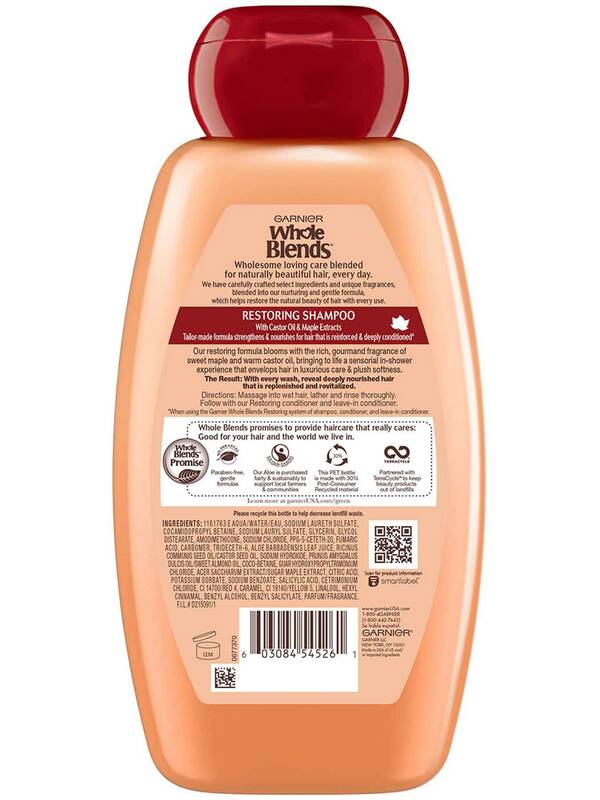 Rated 2 out of 5 by dibswibs from Love the smell of this shampoo and liked how it left my hair on the softer side but with regular use I started experiencing EXTREME hair fall, which got better as soon as I switched the shampoo out with a different one. Rated 5 out of 5 by jazzym1 from This shampoo smells super good and it works like magic on my hair! With one use my hair was softer and I absolutely love it! Rated 5 out of 5 by snxype from When I use this at first, it makes my hair looking very healthy without smoothing them. If you use this, your hair looks healty and straight without a hair-straighter and your hair will look shiny. They will also smell 1-2 days good, so you dont want Hair-parfum (I often use it befor I go to meetings. The people love the fragrance of my hair. Rated 4 out of 5 by sugarscream from This is another product where the fragrance "flavor" really won my attention and persuaded me to try it. I'm glad that I did. Not only does it smell good and clean nicely, it tames the frizzy split ends I tend to get from over processing. Total win. Rated 5 out of 5 by jmo418 from Recently purchased this shampoo and conditioner because it smelled so good. I really liked this - mostly for the scent but also it works well. Its 1 of my favorites. Rated 3 out of 5 by n_icollee from I started using this product this past week and I only wash my hair once every 4-5 days, so I haven't used it enough to know how well it works yet. I chose this one because it smelled amazing, however, it doesn't leave the scent behind once you rinse like I had hoped it would. Not a bad price, does the job.